Welcome back for another Booktastic Link It Up Thursday! Remember, you can link up new or older posts in the linky. Please link up any posts you have, past or present, about books, reading, and literacy. This link party is all about sharing about books. Joining in is easy; just click “Add your link…” and copy/paste the URL of a blog post (NOT your homepage). Blog posts ONLY please. Other types of links will be deleted. If you would be kind to post a link back somewhere on your post or blog. Why join the link up? 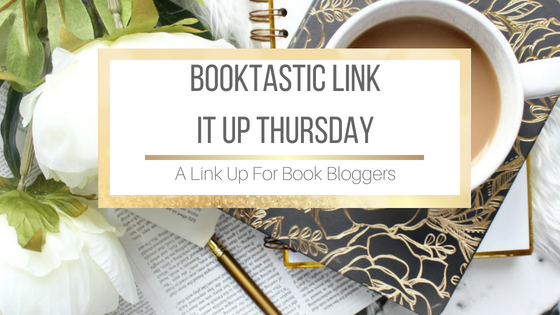 Please grab the Booktastic Link It Up Thursday button and share it somewhere on your blog (sidebar, post, bottom, etc.) and please share about this party with any book-lovers you know. Everyone works hard on their posts and loves visits/comments/pins from others. Please visit AND comment on at least one other linked post if not more.